Vintage Handmade Wool Kilim Rug- 2'8'' x 4'5'' This flat weave kilim rug is one of a kind and masterfully handmade from 100% top quality wool for enduring beauty. 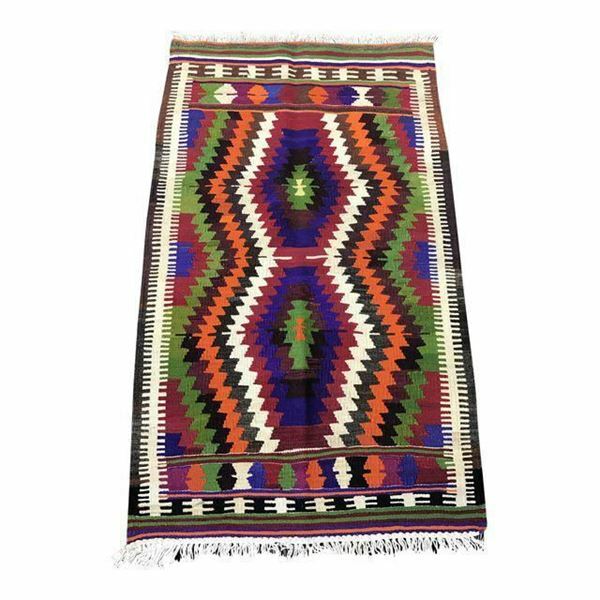 Vintage Handmade Wool Kilim Rug is wool, flat-woven and hand-knotted rug which bears the telltale sign of a unique journey. Much more than ordinary floor coverings, this kilim rug presented itself as a dowry of a bride.